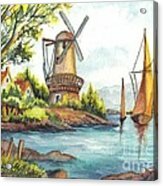 The Olde Mill galaxy s8 case by Carol Wisniewski. Protect your Galaxy S8 with an impact-resistant, slim-profile, hard-shell case. The image is printed directly onto the case and wrapped around the edges for a beautiful presentation. Simply snap the case onto your Galaxy S8 for instant protection and direct access to all of the phone's features! Thank you Madalena for the Congratulations and the Feature in Women Painters! Thank you Anand for the nice comment and the support! Congratulations on the Feature. I can just feel the breeze. Thank you John, it is appreciated! Lovely imagery, Carol. Stunning talent. Thank you for visiting Nina and the lovely complement, it is much appreciated! Thank you Shelley, so much for the lovely comment, so glad you liked this. Thank You Jane for the visit and the lovely comment and L/F! Congratulations on the Special Feature in the Wisconsin Flowers and Scenery group, Carol!! This is incredible watercolor work. F/Liked!! Thank you Joy, glad you enjoyed it! Thank you Hanne for the revisit and for the Congratulations and Support, it is much appreciated! Congrats on your special highlight feature in WFS. L.
Thank you Sonali for the lovely comment and L/F and the Congratulations! Beautiful work! 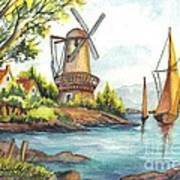 What a fantastic watercolor scene! f/love!! :D Congratulations on the SPECIAL HIGHLIGHTED WFS ARTISTS FOR THE WEEK! Thank you Debbie for the Congratulations and lovely comment, it is much appreciated! 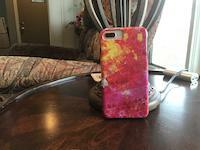 Thank you Phyllis for the nice comment and vote, it is much appreciated! Thanks Kathleen for the Congrats and the lovely comment and v., it is much appreciated! Congratulations on your Special Highlight Feature in WFS Group! Beautiful work! Thank you Ellen for the Congratulations and lovely comment, it is much appreciated! Thank you so much Jean for the Congratulations and support! Congratulation on your special highlighted feature!! Beautiful work! Thank you Janis for the Congrats and Visit! Thanks so much Wayne for the Congratulations and the nice comment and support! 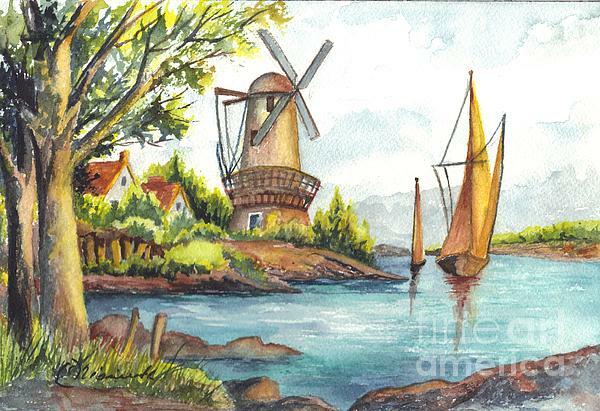 Watercolor painting of a Windmill in a waterscape setting, commonly seen in the Netherlands.